(TH) Are you tired of paying too much for Missouri health insurance? Welcome, because you've come to the right place, Since 1996 Hegeman Insurance Brokerage has been helping people lower their insurance premiums with better coverage from the top "A" rated companies here in Missouri and also in Florida. Health insurance premiums don't have to resemble a mortgage payment. You may have even considered dropping your coverage entirely, don't. Going without health insurance is never a good option and it's a very risky proposition at best. 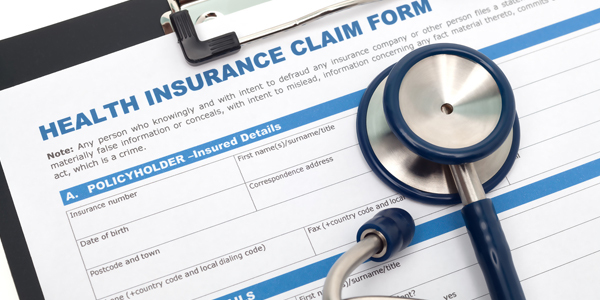 There are affordable solutions and the consequences of being without health insurance in the event of a catastrophic illness or accident can be devastating. Start by comparing 30+ of top Missouri Health Insurance companies...call (407) 425-9347 for instant quotes. online health insurance applicationsWe are one of the largest online health insurance agencies in the State of Missouri, we offer one of the largest selection of affordable health insurance plans on the web. Our instant online health insurance for Missouri is state-of-the-art and allows you to access rates instantly and easily for major medical plans as well as Short term medical plans for up to 12 months and $ 2million in benefits! Your quotes and online applications are backed up by secure servers that utilize VeriSign and the strongest secure socket layer (SSL) encryption technology available for e-commerce 24/7/365. When checking rates remember that the numerous quotes you see are only the tip of the iceberg. There are so many plans available that it would be impossible to show you them all. So call us if you want the absolute best premium, or use our our short online form particularly if you have preexisting conditions like height/weight issues, smoking, high blood pressure etc. It will put your information in front of us just as fast as a phone call and guarantee an agent will be assigned to you immediately. A short call to (407) 425-9347 will get our immediate help with quotes from multiple carriers and rates on a plan that fits your needs perfectly. Use our short online form and we can help you find affordable insurance coverage. This will allow us to customize a quote to fit your needs perfectly. Use this link if you would like our help figuring out what might be the best direction to go. We can put together some ideas for you in an easy to understand format too! Fed up with soaring Missouri health insurance premiums, random underwriting, and canceled coverage? Preexisting condition clauses, medical underwriting, claims disputes etc., finding affordable health insurance can be frustrating and comparing plans can try your patience. The services of a good agent can save you both time and money. As Independent Agents, we can also tell you the pros and cons of all the companies out there and which ones to avoid and which ones are smart choices. Did you know the premiums on those health insurance plans you are researching are fixed by Missouri Department of Insurance law? You can not find a better price anywhere for the same health insurance plan. Our rates and applications tie in directly to the carriers. If you find a lower price then you are not comparing the same plan. It makes your job a little easier. There is no need to negotiate or jump from one website to the next searching for a better deal. That said, be aware that the rates on this website or on any internet site are "base premiums", and have not been adjusted for preexisting conditions. You really should call us if you would like to know how your prior medical conditions can impact your rates and coverage. Co-Pay Plans - These plans do serve a purpose if you have a young family with children who go to the doctor a lot. Keep in mind though, if you want great benefits for all the small claims - then its' can get pricey. It's the equivalent to buying a homeowners policy that also covers your weekly lawn service, a tree and landscaping crew...on 24 hour call, and a new coat of paint every two years... Make sure you are going to use the benefits before actually agreeing to the coverage. Typically families with young children are prime candidates for these sorts of plans. Health Savings Account Plans (HSA) - Designed for people interested low premiums combined with significant tax advantages. These are high deductible, no frills health insurance plans but cover everything medically necessary once your annual deductible and coinsurance out-of-pocket maximums are satisfied. Deductibles start at $1,100 for a single person and $2,200 for a family. There are "Family Deductibles" available rather then per person deductibles. This just might be the plan that makes you sane again and let's you start sleeping again at night. High Deductible Health Plans - These are the core plans to an HSA plan described above. Collective or family deductibles available with 100% coverage. Less expensive than an HSA because you don't have to contribute to a savings account. Like a Health Savings Account there are no co-pays for doc visits or Rx....although both doc visits and Rx go towards your deductible. Let me show you have I can save you thousands of dollars in premium as opposed to getting a traditional co-pay plan. Thanks for visiting our Missouri health insurance website and we hope you were able to easily find what is was you were looking for. If not call us, I'm sure it's here somewhere. Check back often as this website, like health insurance changes frequently to stay current. Plan on traveling to Central Florida, be sure to visit out Orlando health insurance affiliates office located in downtown Orlando just north of Lake Eola. Missouri-healthinsurance copyright 2014 l All right resereved.